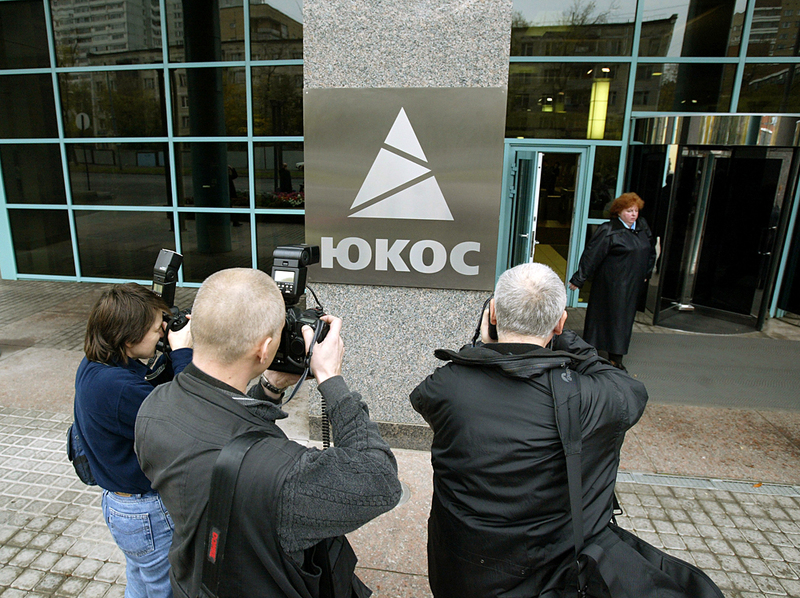 The office of the former Yukos oil company, 2003. Lawyers have been ordered to appeal the freeze on Russian assets in foreign countries after The Hague District Court overruled the judgment compelling the payment of $50 billion to former Yukos shareholders, head of the International Center for Legal Defense Andrei Kondakov said. "Today our lawyers have been ordered to file new appeals for cancelling every enforcement procedure [regarding the freeze on assets]," Kondakov said. "They [enforcement procedures] have actually not begun in the United States, the UK and Germany, and there have been no freezes. Courts have held proceedings in France and Belgium, and some of the freezes have been repealed," Kondakov said, adding that the freeze on Russian assets to a sum of approximately 700 million euro was removed last week. "We did so before we even obtained the Hague court's order. The process will accelerate with this ruling and, hopefully, we will manage to unfreeze and to defend all Russian assets," Kondakov said. "Now the Russian line of defense against the enforcement procedure has acquired new, very potent arguments. The very ruling of the Hague, which was the basis for the enforcement procedures, has been repealed. Fully," he said. Russia presented six arguments in defense of its position in court, Kondakov said. "The very first argument that the tribunal had no jurisdiction over that case was enough for the Hague District Court," he said.